What happens when the owner of an illegal mine is also a big donor to the officials deciding his fate? For many, the foundation of our society is composed of a few simple things: liberty, church, public education. But none are so essential — if not as lofty — as sand and gravel. In streets, bridges, buildings and tarmacs, sand and gravel make every modern city. Which may be why it’s taken so long for local and state agencies to call foul on one of Spokane’s longtime producers of such building blocks. Or maybe it’s because the owner of the mine in question has powerful friends in county commissioners Todd Mielke and Mark Richard, both of whom have a say in what will ultimately become of the illegal mine. Next week, Countryman will have a more formal chance to let Spokane County commissioners know how she feels. That’s when the commission will hear public testimony regarding Gillingham’s recent requests to change his land’s zoning from “rural conservation” to “mineral lands,” and amend the county’s Comprehensive Plan to allow for his mining operation. One problem: Gillingham has already mined 26 acres without permission. Another problem: Gillingham’s political donations to Mielke and Richard could present a conflict of interest for the commissioners. But for Countryman, it’s the noise. Which is why she plans to show up, along with dozens of her neighbors, to speak at the public testimony. So will Gillingham, to explain that this is one big misunderstanding. The Marshall Gravel Pit sits on the northwest side of Cheney-Spokane Road almost exactly between the road’s namesakes. It’s 45 acres and “just a big hole,” one neighbor says. Piles of drab-colored rocks stand silently while rock crushers rumble. The occasional explosion is heard, shaking the earth loose and rattling windows. For anyone driving on this county arterial, the mine is no secret. It opened in the 1950s as a source of rocks and dirt used to cover for the neighboring garbage landfill. According to Gillingham, when he bought it in 1996 the mine was already far beyond its regulated borders. He kept mining it anyway and, in 1999, was dinged by the state Department of Natural Resources for operating without a permit. Finally, in 2002, he won approval to mine 19.6 acres. But according to documents from the DNR, the mine quickly grew from 38.6 acres to 46.6 acres between 2004 and 2007. The same documents show a trail of hand-slaps and easy warnings for Gillingham about his unsanctioned mine growth, beginning in 2006. “I’ve actually done very little mining,” he says. He estimates that he has mined 250,000 tons of material at the site since purchasing it. 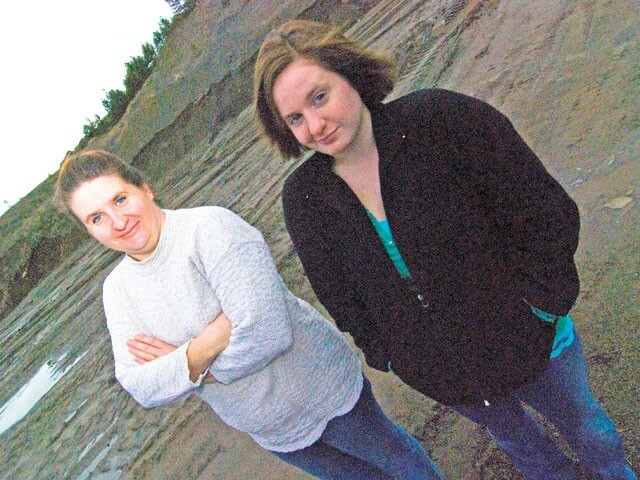 Two weeks ago, the DNR issued a stop-work order for the pit, citing a “substantial deviation” from the approved work, calling the mining “illegal.” In its order, the agency cites the years of Gillingham ignoring both its cautions about mining too much and its requests for more money to cover cleanup costs should the company go belly up. A solid lock on the gates is exactly what many neighbors want. “This is out in the country. Earlier this year, Jongeward went around and gathered signatures demanding that Gillingham abandon the mine. He estimates he gathered 60 signees. “It’s not like they didn’t know that pit was there,” he says. “It’s like building a house outside the airport and then saying, ‘I don’t like the airplanes.’” Commissioner Mielke agrees. Still, Mielke says he’s interested in hearing what people have to say at the public hearing. But unless they can convince him that the mine goes against the county’s Comprehensive Plan, his decision is made. “This is not a new gravel pit. Something Mielke hadn’t taken into account was the growth of his campaign coffers due to Gillingham’s actions. According to documents from the state’s Public Disclosure Commission, Gillingham Sand and Gravel donated $800 to Mielke’s last campaign, the largest amount allowed during the general election. Big Cigar, a venture that has a primary partner in Gillingham’s father, donated that same amount to both Mielke and Commissioner Richard. Gillingham’s father also gave $1,000 to Mielke’s 2004 campaign. Jack Gillingham, Randall’s father, has an affi liation with the mine, though his son would not disclose exactly what his dealings are. But as recently as 2007, Jack Gillingham was referenced in DNR documents about the mine, which said he was discussing “reclamation objectives for some of the disturbed areas” with a department inspector. Commissioner Richard did not return calls seeking comment. When told of the PDC documents showing his company’s contribution to Mielke, Gillingham blamed his father. The public hearing will be held on Wednesday, Dec. 9, at 6 pm in the Commissioners Hearing Room in the Spokane County Public Works Building, 1026 W. Broadway Ave.